As we move into the third week of Colon Cancer Awareness Month it’s time to discuss what can go wrong in your gut. Last week I presented a very brief overview of how a healthy gut works. This week I’d like to help you recognize signs of digestive dysfunction. The result is multiple disease processes like constipation, diarrhea, irritable bowel syndrome, inflammatory bowel disease, myriad chronic health conditions and even cancer. However there is one critical point I must make, and I can’t stress this too strongly. In my 30+ years of working closely with people experiencing all levels of digestive issues, I have seen far too many cases of colon cancer. 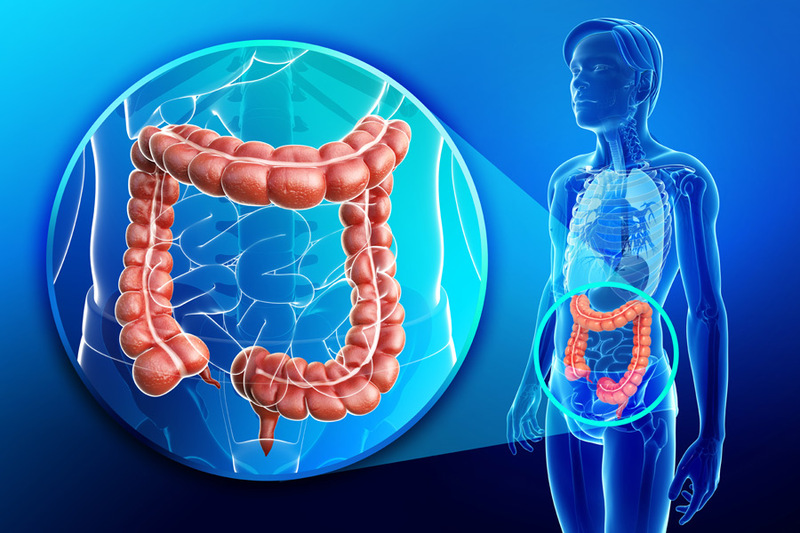 The unfortunate thing I’ve noticed time and again was this – when a person was diagnosed with colon cancer – they thought they had healthy digestion! Needless to say, they were floored by the diagnosis. When I questioned them further, I might hear “I had a little indigestion here and there” or “sometimes I was constipated”. Often they didn’t notice anything that might have tipped them off to a life-threatening situation brewing inside them. That’s why it’s so important to truly understand and appreciate what really happens in your own body to do with digestion and absorption. The colon can be very quiet for a long time as disease smolders within. I believe this knowledge has fueled my passion to continue, day after day, to implore people to recognize that their gut is literally the core of their health. What can go wrong? Intestinal toxemia = poisoning of the intestines! Intestinal toxemia occurs when the bacteria in the gut act upon undigested food. This interaction can produce toxic chemical and gases. These toxins, in turn, can damage the mucosal lining, resulting in increased intestinal permeability (leaky gut). The net result is that the toxins are then able to spread throughout the body via the bloodstream. Poisoning your intestines is a process that progresses over time. The good news is that you can reverse that process by changing your behaviors. In the words of Dr. John Matsen, ND, “If you don’t digest your food quickly, some microorganism will digest it for you, making toxins.” These toxins created inside our bodies are called “endotoxins”. I want you to know that they are every bit as damaging to your body as external environmental toxins. We call those “exotoxins”, and are very familiar with the dangers of substances like pesticides, radon or car exhaust. If the above mentioned habits continue for an extended period of time, the certain result is an overtaxed digestive system. That happens whether you experience mild to severe digestive symptoms, or no symptoms at all. Supporting organs such as your liver and pancreas become overburdened. Ultimately, your once healthy gut begins its downhill spiral toward altered digestive function. Diagnoses like constipation, diarrhea, IBS or even IBD, along with cardiovascular issues, hormone imbalances, arthritis, fibromyalgia – the list goes on and on. And yes, even cancer. This is primarily how the sad tale of disease begins – and if you truly understand this, you have the power to change your story and restore your health once more! Digestive dysfunction. Please don’t let this happen! You may think I’m being overdramatic – linking almost all variations of chronic disease processes to the gut. In two words – I’m NOT! Daily more and more supporting evidence is disclosed in clinical trials that prove that your digestion – breaking down and absorbing the nutrients you intake – is absolutely essential to every function in your body. The premise is so simple it’s unbelievable that many Americans still fail to see the relationship between what goes in their mouths and the way they feel and function. As I mentioned, I think it’s largely due to the forgiving nature of the gut. Symptoms often don’t occur until quite a large amount of damage has been done. And it also has to do with our society’s obsession with simply eliminating symptoms. Many people don’t seem to care to understand what may have been causing that discomfort in the first place. Nexium be gone! Next post I will give you an action list of exactly what you need to do to understand and heal your gut! Until then, eat lots of living foods!